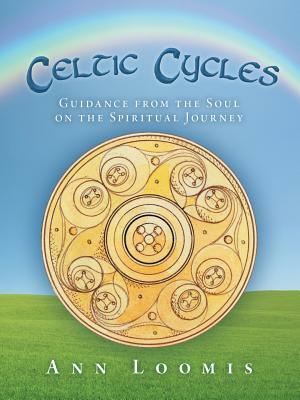 Celtic Cycles: Guidance from the Soul on the Spiritual Journey realigns the soul's wisdom with the rhythms and creatures of the natural world. As with some animals, the soul is in danger of extinction if we do not find a way to listen to its guidance. Writings of Carl Jung on the feminine principle illuminate our understanding of the soul and bring clarity to the conversation. What sets Celtic Cycles apart from other books on the Celtic tradition is the addition of the chakra system to the eight Celtic celebrations. In this way, the various levels of the soul body are honored as a vessel of spiritual wisdom. The colors of the rainbow spectrum enliven the bodies and contribute to healing at the soul level.In each ritual section, you will learn how touse a guided meditation;write a dialogue with a spirit animal;interact with a fairy tale;set up an altar; andcreate affirmations.Formatted in workbook style, Celtic Cycles is designed to lead you on a spiritual journey that comes from the guidance of your soul.